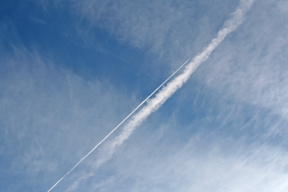 Depending on the size of particles used, the aerosol layer might cause significant whitening of the daytime sky. Such whitening is one of the classic valuation problems posed by geoengineering: How much is a blue sky worth?" This website provides articles with citation links, videos and other resources to help you learn about weather modification and geoengineering. The Detox & Prevention Guide shows you how to minimize your exposure to toxic metals and remove toxins that may have accumulated inside your body. Use the menu on the upper left side to navigate the site.